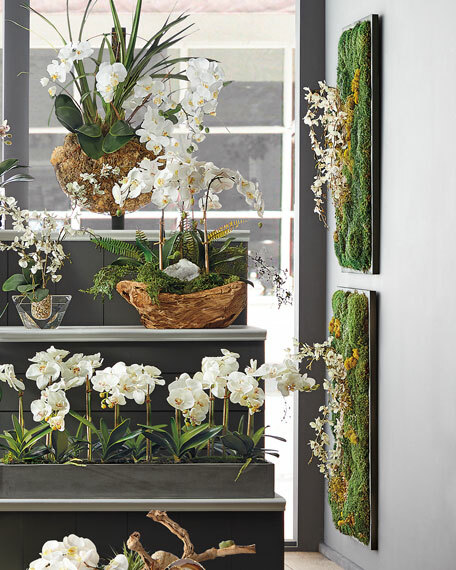 This artistic moss board presents an organic, natural type of wall décor that brings the natural elements into a room. 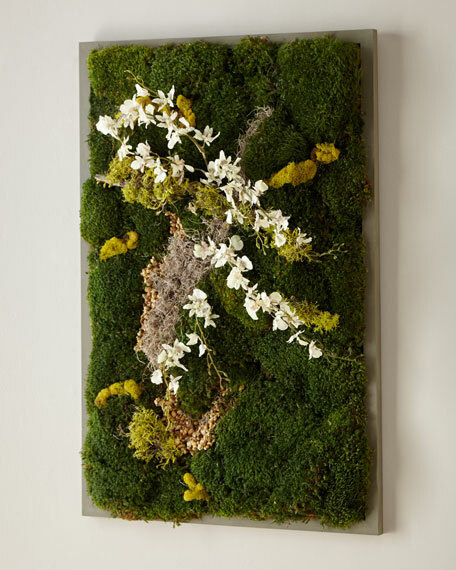 The spagnum moss, reindeer moss, and Spanish moss provide an interesting contrast in green color then highlighted with stones and flowers. 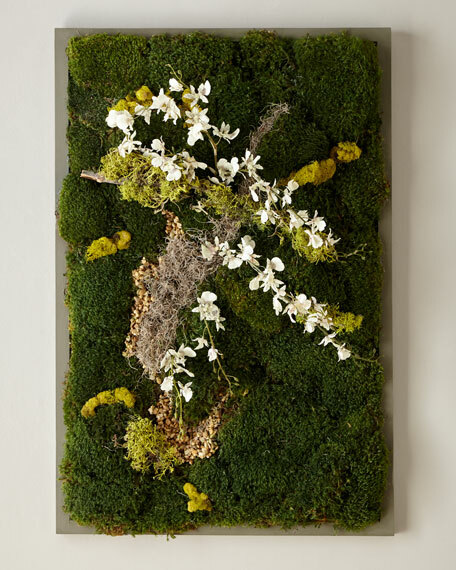 Decorative wall art featuring rock, natural moss and faux botanicals. Overall, 24"W x 5"D x 36"T.
Wood composite and wood frame. Wired to hang both horizontally and vertically. Weight, 12 lbs; boxed weight, approximately 19 lbs.